**if you are an easily offended human being, please read all the way to the end of the author&apos;s note on this chapter to avoid being butthurt in chapter 30. Thank you!! My name is Connor Hall and I was assigned to be your pen pal for my school project. I&apos;ve never had a pen pal before, and I do think it is a bit old-fashioned, but communicating with someone from another state does seem interesting. I hope you find me interesting, and since I have no idea how to start this communication with a pen pal, I asked for some help. My teacher told me to tell you a bit about myself, so here goes. 1. My name is Connor (Yes, "or", not "er"...my parents hate me). 2. I am now realizing that you already knew my name. 3. I&apos;m 16 years old, and I&apos;ll be 17 in January. 4. That was two facts in one. I do apologize for this list already being complete crap. 5. I&apos;m really shy, which is partly why this whole pen pal thing makes me slightly uncomfortable. 6. I love soccer and basketball. I don&apos;t play either, but I do love to watch them. 7. I play the cello in my school and county orchestras. I don&apos;t particularly like it, but my mom does. 8. I like the color blue. 9. I&apos;m a junior at Langston High School. Go rams! 10. I live in Richmond, Virginia. 11. I really hope you aren&apos;t a stalker since I just gave you a ton of personal information. If you are a stalker, please throw this letter out. 12. I have an iPhone, so I&apos;m not about that Android life. Although I&apos;m not really "with the times" on which generation iPhone is the best to have. 13. I have a strong vendetta against Hollister. 14. I&apos;m incredibly superstitious and couldn&apos;t end the list on number thirteen, so this is another fact for you. The superstitious part is the fact, in case you were confused. I look forward to corresponding with you for the next month. Please don&apos;t think too poorly of me based on this letter. I&apos;m excited to find out some things about you! Your information doesn&apos;t have to be in a stupid numbered list like mine, though. A/N: Hey guys! So this is something a little different; there will literally be no "normal" story-telling in this book, just told through the social media of the two main characters, and through the letters they write each other. Each chapter will alternate between the two; the odd numbered chapters will be from Connor&apos;s perspective, and the even numbers from Sydney&apos;s (for the most part...I have a few ideas for the middle of the book that might change that). I will be updating every Sunday except for today, when I will be publishing two chapters in one day just to get the story up and running and have everyone know what it will be like. Please share this story, and I hope that you guys will like this kind of story-telling! Leave a comment letting me know what you think, and I hope this works out! (Also, sorry if you got an alert saying I had published chapter 6--I was uploading it to my drafts and accidentally clicked the wrong button) The pictures do show up better if you are on a computer, but they will still work on mobile! 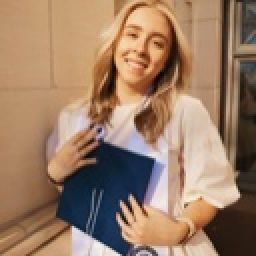 EDIT!! 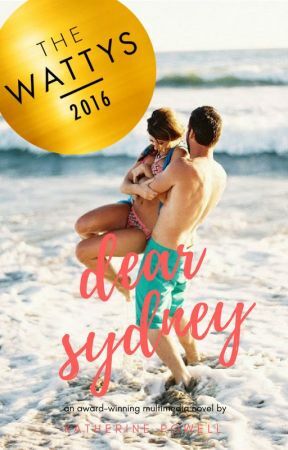 (3/22/17) Because Dear Sydney is published in print, the last chapter, Chapter 30, is NOT AVAILABLE ON WATTPAD. BUT, don&apos;t go away yet! If you don&apos;t want to continue the book because of this, that is completely your prerogative, but there are NINE epilogues after Chapter 30 (NINE!) that completely tie the book together. Like I&apos;m gonna be honest, the last chapter will give you some closure, but the Epilogues tell you everything you need to know. The last chapter is just taken down because it&apos;s in print and it wouldn&apos;t really make sense to have the whole thing on Wattpad? So I would strongly encourage you, if you are enjoying the book so far, to continue reading because it&apos;ll all come together. But I thought it was fair to let you know about the last chapter being gone in advance!